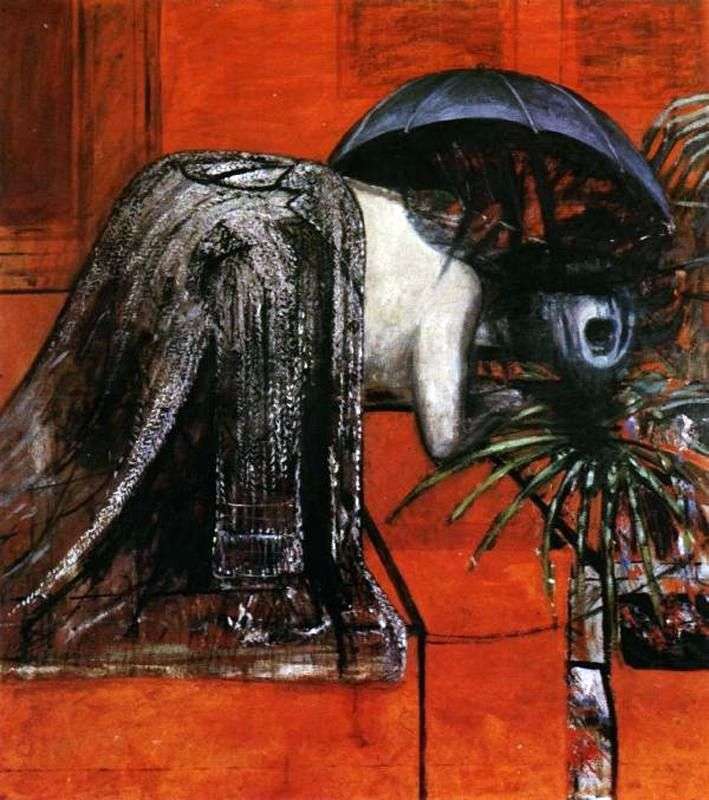 In the 40s and 50s of the 20th century, Francis Bacon works in dark, almost black tones, including plant motifs – grass bunches, palm leaves, branches. In his paintings he uses all available means to achieve the highest psychological intensity. It seems that such a bunch of spicy grass, but it is associated with anxiety and a broken fate and with the death of all life on Earth. Description and meaning of the painting Magdalena by Francis Bacon.